Growing up, our family camping lantern was a fragile, glass-sided blazer that ran on white gas. Today, I can plug my lantern, the Lighthouse 250 from Goal Zero, into a USB port on a computer for a charge. There’s a crank on top, too, letting me add power in a couple minutes by spinning the electricity-generating arm. Wire legs snap down for a support stand. The Sputnik-like Lighthouse ($80) is unique to say the least. At a campsite it puts out its namesake 250 lumens of light, enough illumination to set up a tent or spot an animal high in a tree. 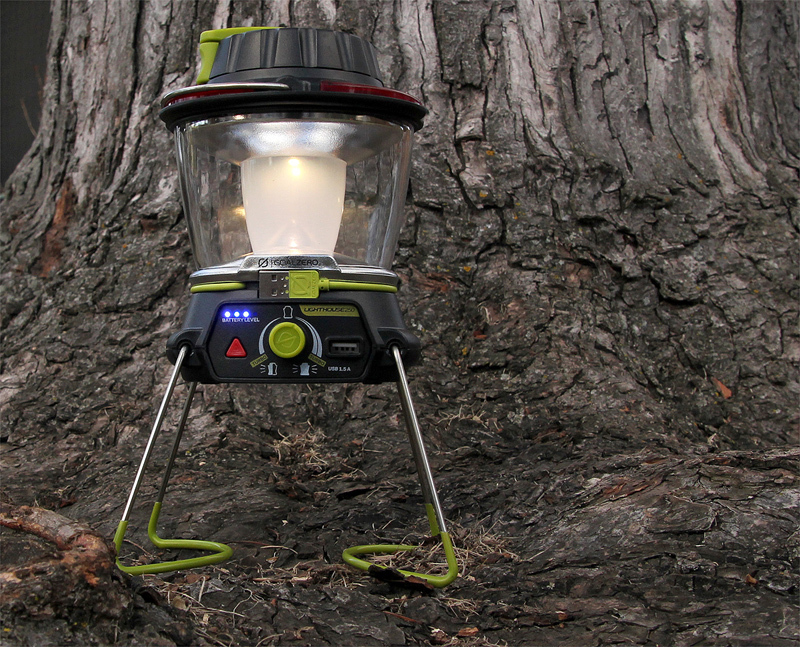 Tone down the dial and the lantern’s LED offers a gentle glow, perfect for reading or lounging in a tent. Ambient light is only part of the package. 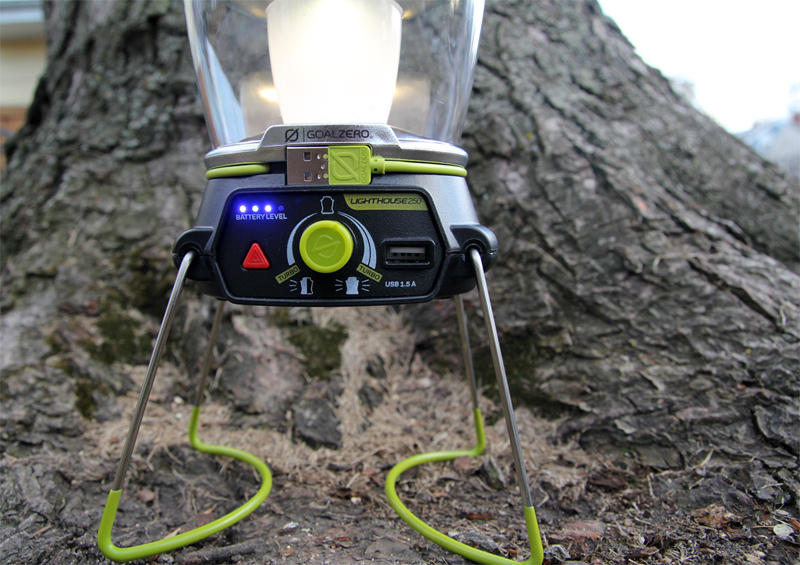 On the body of the lantern is a USB port ready to recharge gadgets or phones. I plugged my iPhone in one day to test and the Lighthouse acted like a wall outlet — about 15 minutes on the lantern and my dead phone was 10% recharged, ready for use. 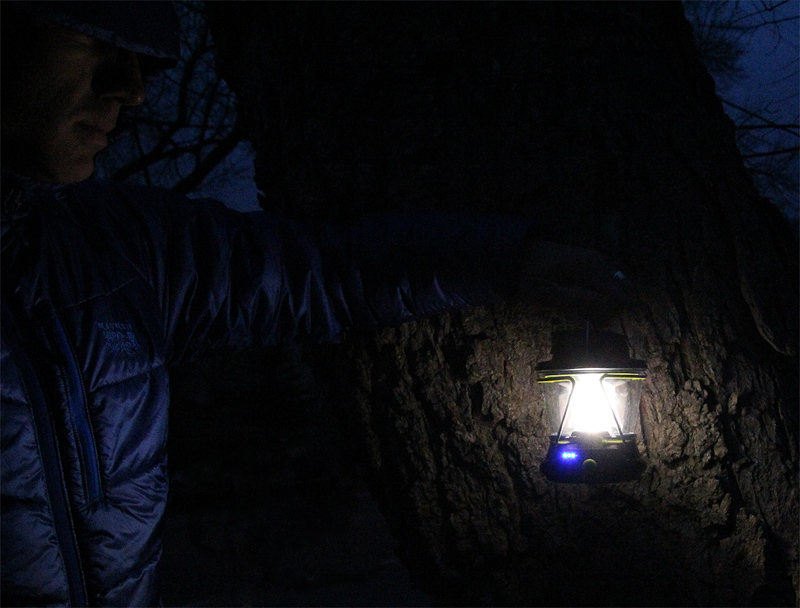 A line of blue LED lights on the face of the lantern indicates battery level. Just be sure to plug the Lighthouse in to charge before heading to the wilds — the unit requires about 7 hours plugged to a USB power source to fully charge its internal battery pack. From a single charge-up the unit is good for a weekend of camping. At its “low” setting the Lighthouse will run for up to 24 hours straight with 360-degrees of LED glow. 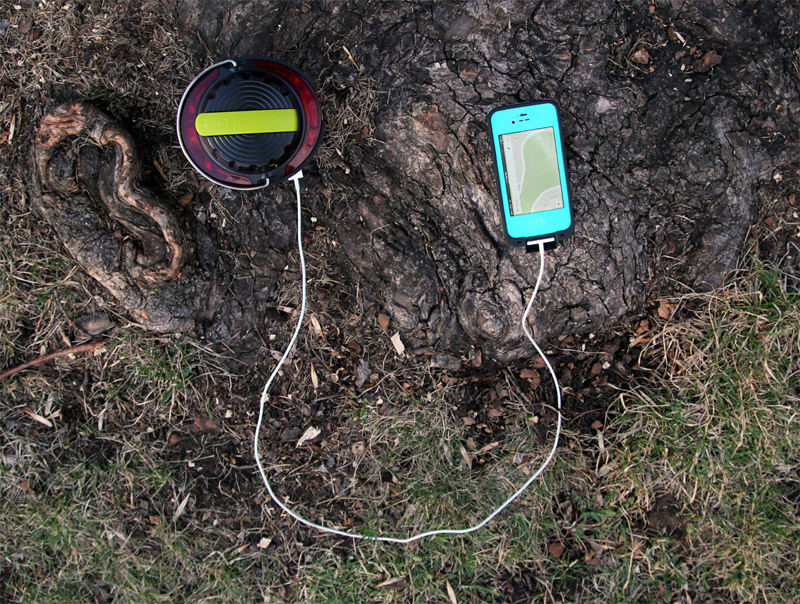 It connects to a solar panel if you run out of power in the field. The hand-crank on top is a great backup; it produces about 10 minutes of light for every 1 minute spent spinning. 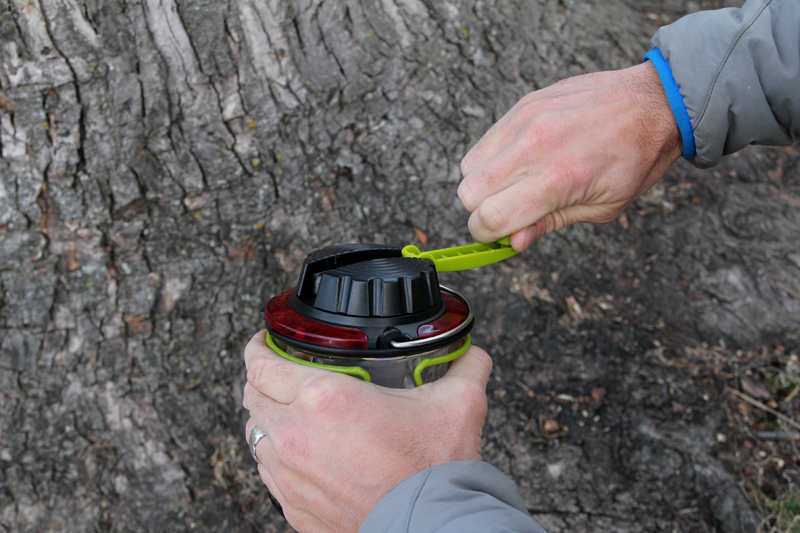 The Lighthouse 250 is not built for ultralight backpacking where every ounce counts; it weighs more than a pound and measures about 6 inches tall. But for canoe trips, car camping, or wilderness pack-ins where you want a light and need a charger, too, the Goal Zero could be your guy. —Stephen Regenold is the founder of GearJunkie. Tents, sleeping bags, pads, backpacks, and cookware for camping -- we review all the gear you need for the Great Outdoors.